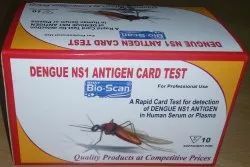 Manufacturer of a wide range of products which include chikungunya igg spot test kit, dengue igg/igm card test, dengue ns1 card test, hcv card test, hiv 1/2 triline card test and hiv rapid test kits. 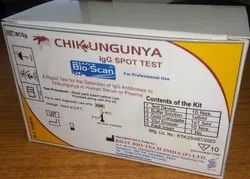 Bhat Bio-Scan® Chikungunya IgG Spot Test is an immuno concentration based assay for the detection of IgG antibodies to chikungunya in human serum or plasma. Rapid visual Test based on immunoconcentration technology. Detects IgG antibodies in Plasma/ Serum. Kit is stable up to 18 months when stored at 2-80 C.
Sensitivity above 95% & Specificity above 98%. 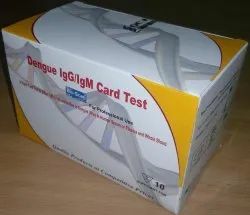 Dengue IgG/IgM rapid card Test is a solid phase immunochromatographic assay for the rapid, qualitative and differential detection of IgG and IgM antibodies to dengue virus in human serum or plasma or whole blood. 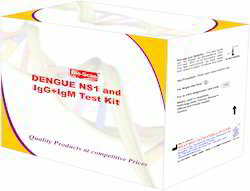 This Test is intended for Professional use as aid in the presumptive diagnosis between primary and secondary dengue infection. 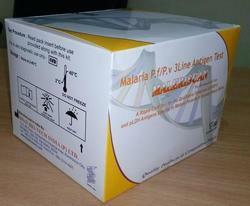 This kit can detect all 4 Dengue serotypes by using a mixture of recombinant dengue envelope proteins. Qualitative detection of IgG, IgM antibodies from Serum/Plasma/Whole Blood. Stable until the expiry date mentioned on the pouch when stored at 2-300 C.
Sensitivity above 98% & Specificity above 95%. A rapid chromatographic immunoassay for the detection of Dengue NS1 antigen in human Plasma or Serum. Qualitative detection of NS1 antigens from Serum/Plasma. 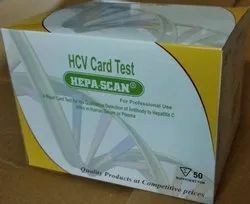 HEPA-SCAN® Hepatitis C Virus card test is an immunochromatography based assay for the qualitative detection of Hepatitis C virus antibodies in human Serum/ Plasma/Whole Blood. Use of Structural & NS3, NS4 & NS5 recombinant antigens. 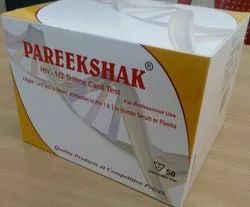 PAREEKSHAK® HIV- 1&2 Triline Card Test is an immunochromatographic based assay for the detection of antibodies to HIV 1 & HIV 2 in Human Serum/ Plasma / Whole Blood. Detects HIV-1 & HIV-2 antibodies in Serum/ Plasma / Whole Blood. Use of HIV-1 gp41 & C terminal of gp120 HIV-2 gp36 antigens. Shelf life of 24 months. 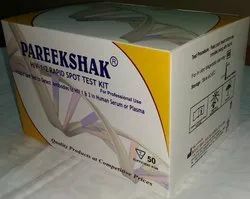 PAREEKSHAK® HIV-1&2 Bispot is an immunoconcentration based assay for the qualitative detection of antibodies to HIV-1 & HIV-2 in Human Serum or Plasma. Rapid visual Test based on immunococentration technology. Detects HIV-1 & HIV-2 antibodies in Plasma/Serum. A rapid, qualitative, one-step immunoassay based on immunochromatographic principle for the detection of HBsAg in human Serum / Plasma / Whole Blood. PACK SIZE: 30 & 50 Tests. 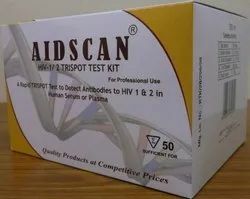 AIDSCAN® HIV-1 &2 TRISPOT is an immuno concentration based assay for the detection of antibodies to HIV-1 & HIV-2 in human Serum/Plasma. 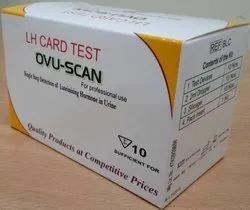 Shelf life of 18 months when stored at 2-80 C.
OVU-SCAN® LH card Test is a rapid chromatographic immunoassay for the detection of luteinizing hormone (LH) in urine, an aid for the early detection of ovulation. Detects LH surge in Urine. 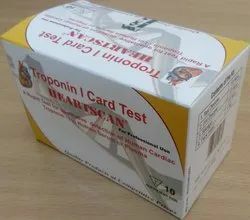 Kit is stable up to expiry date when stored at 2-300 C.
The HEARTSCAN® one step Troponin I card Test is a rapid chromatographic immunoassay for the qualitative detection of human cardiac Troponin I in Serum/ Plasma/Whole Blood as an aid in the diagnosis of myocardial infarction (MI). Qualitative detection of Troponin I from Serum/Plasma/Whole Blood. 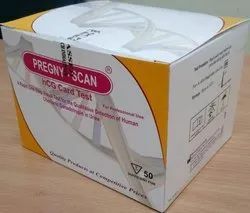 PREGNY-SCAN® hCG Card Test is an immuno chromatographic based assay for the detection of human Chorionic Gonadotropin in urine. Detection of hCG in human urine. Results after within 10 minutes. The PREGNY-SCAN® will yield positive result with hCG concentration as low as 20MlU/ml or as early as 7 days post-implantation. 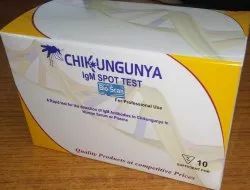 Bhat Bio-Scan® Chikungunya IgM Spot Test is an immuno concentration based assay for the detection of IgM antibodies to chikungunya in human serum or plasma. Detects IgM antibodies in Plasma/ Serum. The Syphilis Strip Test (Serum or Plasma) is a qualitativemembrane device based immuno assay for the detection of TP antibodies(IgA and IgM) in Human Serum or Plasma. 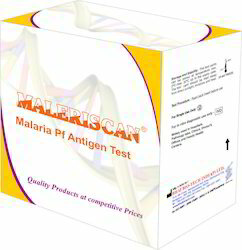 Creating new benchmarks in the industry as a manufacturer and supplier, we are engaged in offering Malaria Antigen TestKits. It is a rapid, qualitative, one-step Immuno chromatographic based assay for the detection of pHRP II and Plasmodium lactate dehydrogenase (pLDH) specific to P.f/P.v. in human whole blood. It provides instant result whether it’s positive or negative. Moreover, our range is made using various compositions and known for its speed and accuracy. 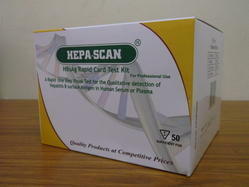 Looking for Rapid Test Kits ?